Baking an Anglo Indian authentic fruitcake is no easy task. It’s way more complicated than whipping up a pan of American style brownies or baking a Food Network-ish cheesecake. But getting drunk on rum soaked fruitcake on Christmas morning is so worth it. Why are there so my GMs? I won’t lie; Most of this cake won’t make it to Christmas morning after our sledding and mulled wine filled Christmas party where we baked fruitcake and authentic Anglo Indian pastries. And also consumed most of a rum cake. So you are ready to bale a fruitcake; First of all, don’t be surprised if you have to drive to at least three different grocery stores to buy the different ingredients for this holiday cake, standing in long holiday queues of impatient cooks and bakers dying to get back to their kitchens and getting grumpier by the minute. That is just part of the Anglo Indian experience of baking a holiday rum cake! 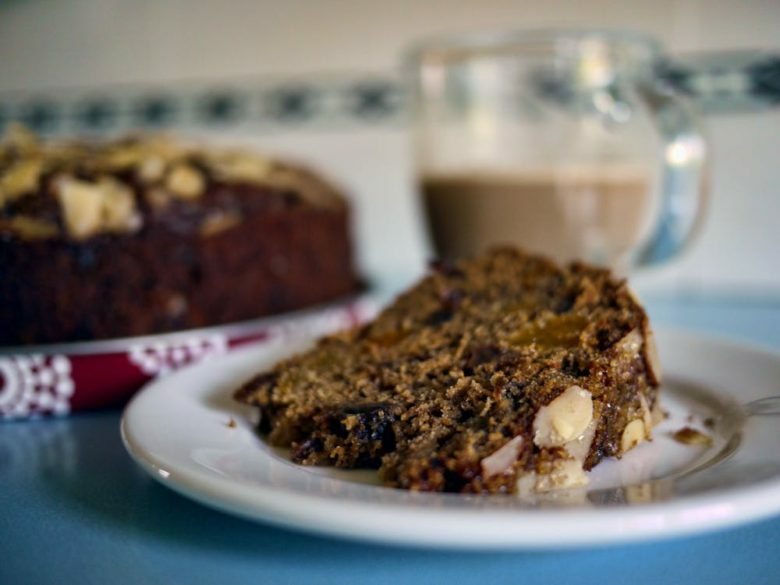 Anyone can go to Trader Joe’s and buy golden raisins, eggs and flour and bake an Italian style panettone but this authentic Rum filled treat is a true Christmas cake adventure; Just like Christmas in India was. 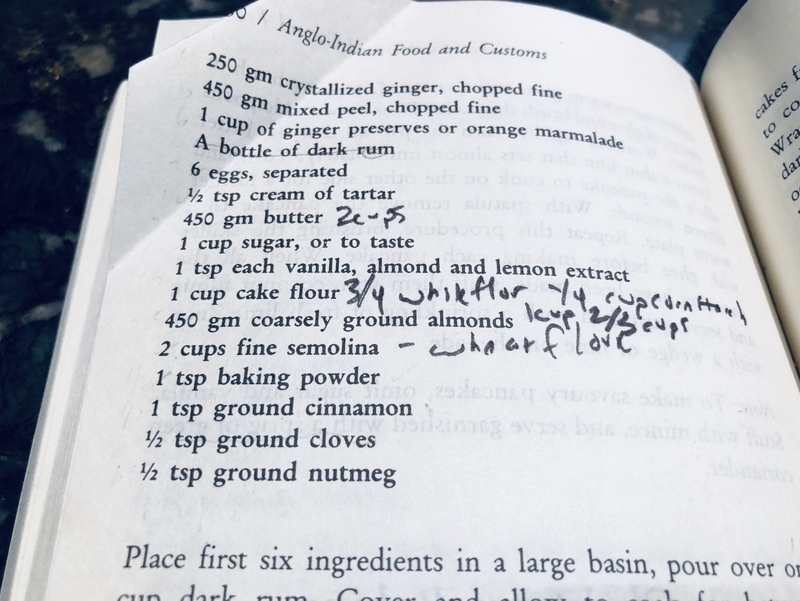 For starters, if you are working with an authentic recipe for Anglo Indian Fruit Cake, you will have to transfer the ingredients into cups from grams. This is more time consuming then one would think as liquids and solids transfer differently, so you literally must Google each ingredient separately, then make notes in your cookbook. Yet, have no fear all ye Holiday bakers! 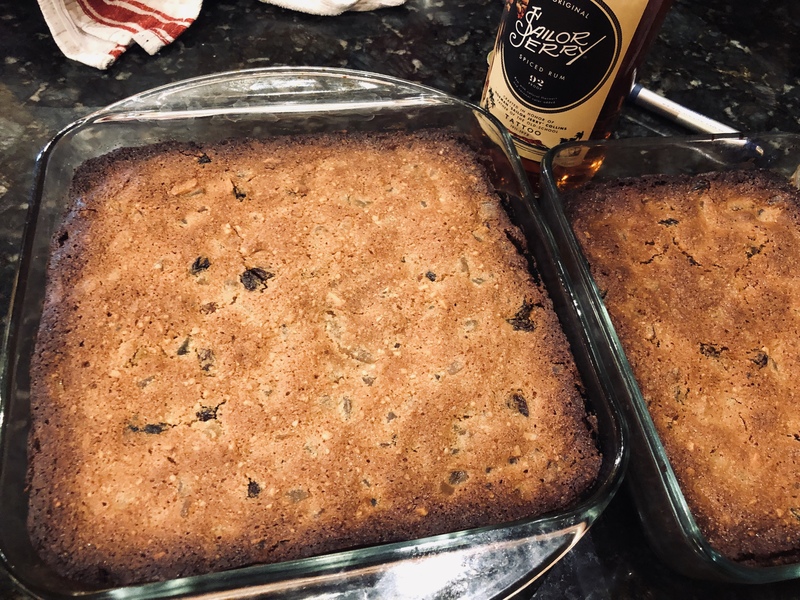 The Hungry Mountaineer has translated the best Anglo Indian Fruit Cake recipe into cups for you and added a few slightly healthier steps to make this booze and sugar soaked cake more than likely not to give you the diabetes this holiday season. Your welcome. Because nothing says happy holidays like giving dad a Life Alert under the Christmas tree. True story. 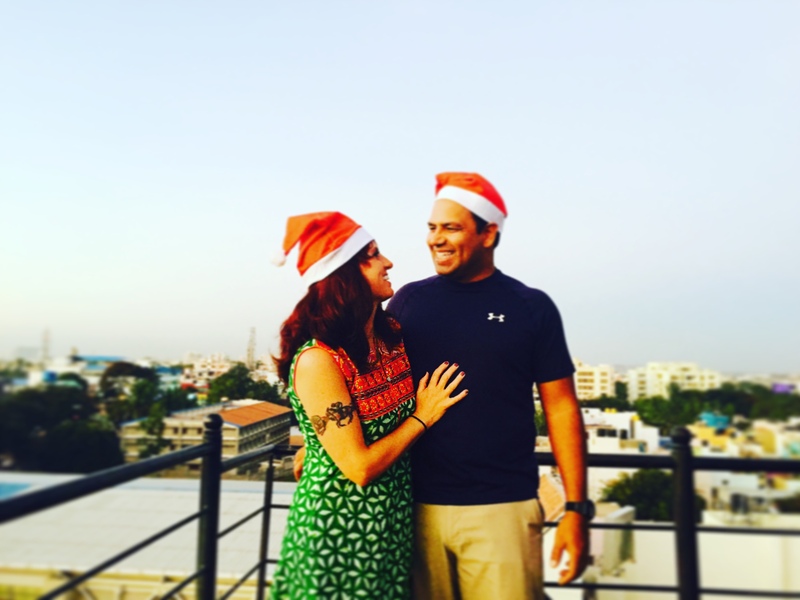 Christmas itself is so different while traveling through India. You want a real Christmas tree? A fragrant eight foot tall Blue Spruce perhaps? Good luck with that. Every Christmas tree you may find in the shops will be plastic. Real Christmas trees do not exist in southern India. Which makes sense as the closest pine forest is in the Himalayas, almost two thousand kilometers to the north. So plastic Christmas tree it is while on holiday during the holidays in the south of India! So you bargained for a great little plastic spruce and now you are ready for the hustle and bustle of trying to grocery shop the busy streets of Bangalore. Watch out for that cow! And that rickshaw! And that crowded city bus hurtling at you on the wrong side of the road and honking! Happy Holidays from the city of trash guzzling street cows and ridiculous traffic! While sweating my way up and down the boulevards of Kammahalli, Bangalore India two Christmas’s ago I found my Christmas shopping so much different and vastly more difficult than Christmas shopping in the states. Number one, while shopping in Bangalore you have to go to a different store for every little item. You think going to three different supermarkets in the U.S. is complicated when planning out this fruitcake; Try Christmas shopping in India. Shopping for organic ingredients in Bangalore was super hard, almost impossible. You have to go to the butcher for the chicken livers, the booze shop for the alcohol, the produce dude for the veggies, the grocer for eggs, rotis, curd and all the random foods, not to mention a few tiny open-air type shops for gifts and souvenirs for friends back home, scarves and kurtis mainly. And don’t forget to stop at the pharmacy for the Ibuprofen for those post-Christmas hangovers! 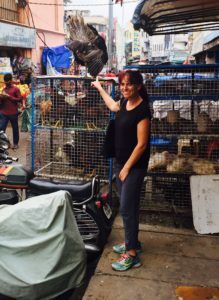 Shopping for chicken in Bangalore. These ones are very fresh. Nothing says Merry Christmas like a typhoon approaching a major city. Awesome sunsets though. After lugging 4 reusable bags through eighty-degree humid heat as I marched up and down the boulevard, I’ll admit, I was kind of missing Target. Although I have to say there was nothing like enjoying cocktails on a rooftop like this and watching the stars come out over the city of Bangalore as we awaited Santa and whoever was bringing the eggnog. 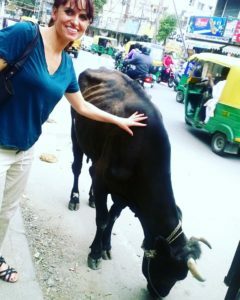 It may sound like I am complaining a bit about my holiday in India, but this was one of the best vacations of my life and it was just so different from our rural mountain town to spend a month living in a metropolis city in a foreign country. 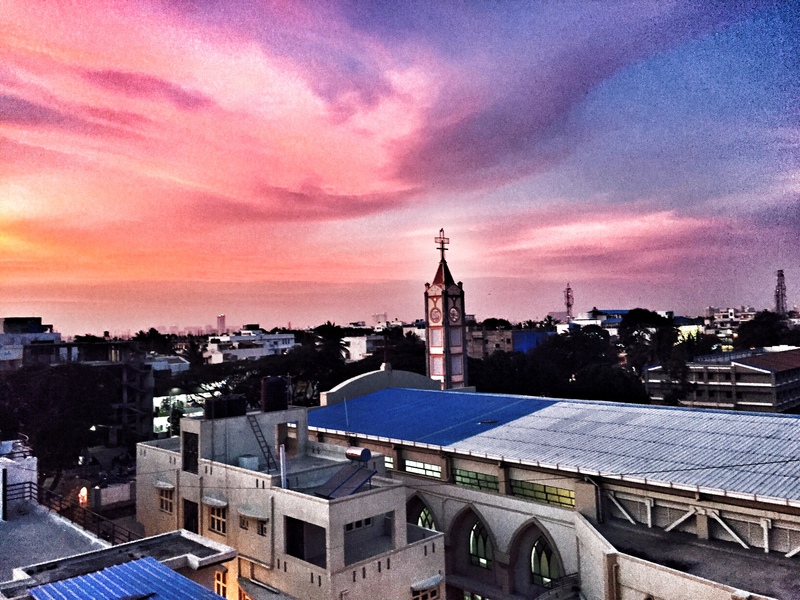 I absolylycan not wait to go back to Bangalore for Christmas next year! 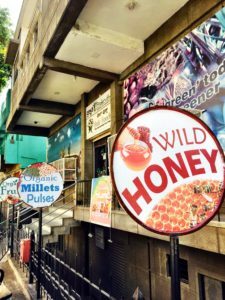 One thing about our holiday in Bangalore; for the most part, I was not a fan of the Indian sweets. Which is totally fine, because I did eat my weight in Butter Chicken. But when it comes to Indian style gulab jamun or jalebi were just really not my thing. But those coconut milk and rice flour concoction, Rose Cookies, hell, I could eat those all day. Maybe because they are deep fried? 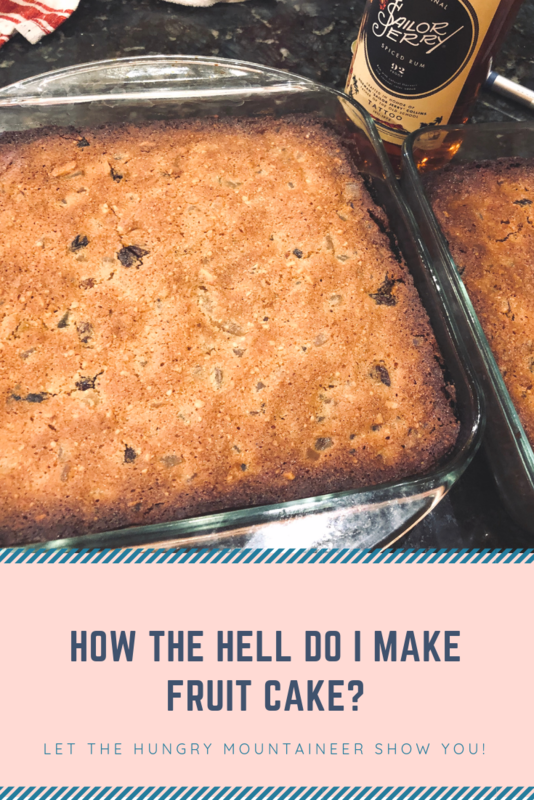 Now that we are back at home in the States this holiday season, my Anglo-Indian boyfriend has one request of me; Bake him an auntheticIndian fruitcake. You’ve got it, babe! Combine the first six ingredients and 1 cup Sailor Jerry Rum forty-eight hours before you want to start baking. For two days, stir this mixture constantly. When it’s actually baking day and you are ready to bake your cake, start with separating the eggs and then beating the whites and cream of sugar until stiff peaks form. Set this aside and cream the sugar, butter, yolks, lemon, lemon zest and vanilla. Sift together the dry ingredients, setting aside 1/8 cup flour. Sift this 1/8 cup flour over the dried fruit mixture and mix in with your hands. Mix the fruit in with the creamed batter. Add in the dry ingredients. With a spatula fold in the egg whites. If the batter is to dry add in more booze until it all comes together. Grease a glass baking pan well with butter and pour in the batter. Bake this cake at 300 for two hours and ten minutes until a toothpick inserted comes out clean. When the cake has cooled, pour over the remaining rum and let sit at least an hour, or overnight before shoving the whole cake in your face. 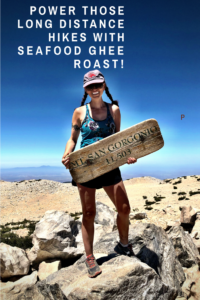 Love this holiday recipe? Don’t forget to pin it for your friends and family to see! happy Holidays from The Hungry Mountaineer! This week, I’m linking up with the following blog hops. I will love your fruit cake, it reminds me of my Grandmother who always made a fruit cake at Christmas. 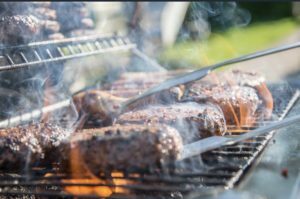 Your recipe looks delicious and I really want to try it! Wishing you a very Merry Christmas and thanks so much for sharing your awesome post with us at Full Plate Thursday!